Choice of 3 sizes or a set of each - small, medium, large. Acid-free for long term storage. Strengthened side panels, handles, clip fastenings & hinged lid. Stackable. 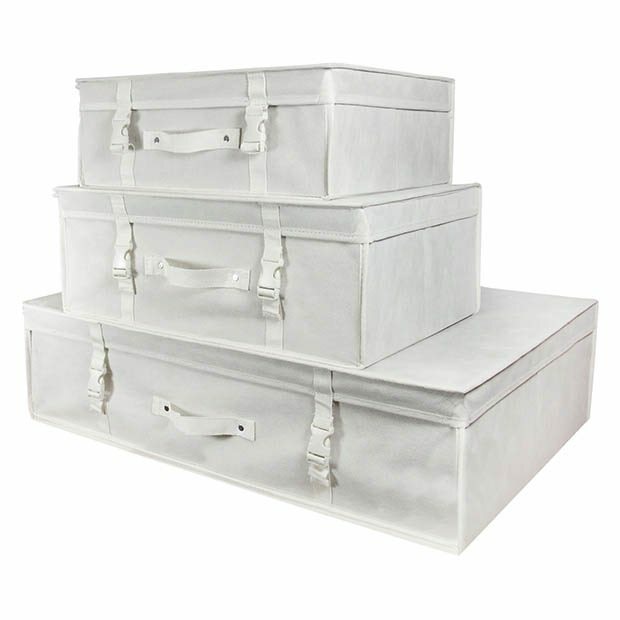 Perfect protection from dirt, dust & moths during short or long-term storage. Each box comes with 10 large sheets of acid free tissue (each sheet measures 78 x 58cm). Can be stored flat packed (as shipped) when not required. Personalisation/logo embroidery service available, please enquire if you are interested. High quality protection against dirt, dust & moths.